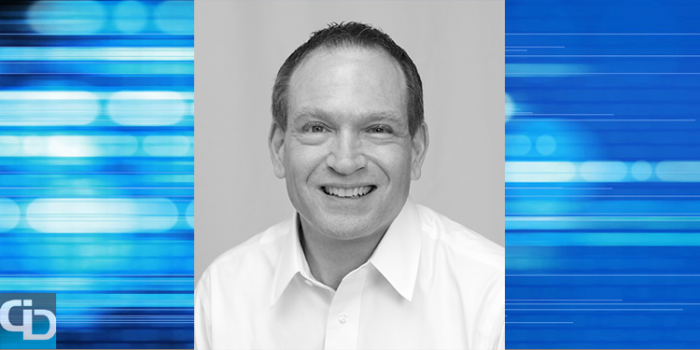 Bob Muglia is Chief Executive Officer of San Mateo, Calif.-based Snowflake Computing, a cloud data warehousing company founded in 2012 by a team of experts who hold over 120 patents in the fields of database architecture, data warehouses, query optimization and parallelization. Snowflake was created with the vision to reinvent the data warehouse, bringing together all users, all data and all workloads in a single repository. Bob has a well-known and distinguished career with over 20 years of management and leadership experience. In his notable role at Microsoft, he led several business groups including Developer Tools, Servers, Office and Online Services. Most recently, Bob was president of Microsoft’s $16 billion Server and Tools Business, responsible for products such as Windows Server, SQL Server, System Center and Windows Azure. Following Microsoft, he was EVP of Software and Solutions at Juniper Networks. Bob holds a bachelor’s degree in computer & communication science from the University of Michigan. icrunchdata speaks with business leaders about their careers in tech, what they are focusing on in their current roles and what their interests are outside of data. Today, Bob discusses analyzing massive amounts of business data, his engineering roots and the definition of personal privacy. You've been in this CEO role since June 2014. We imagine your schedule is quite full. What do you focus on in the first hour of your business day? The first thing I do every day is check to see if there are any customer escalations or issues that need my attention. We are focused on meeting the needs of major enterprise customers, and I care a lot about ensuring that they are fully satisfied with our service. Which of your skills do you find most relevant for success in your role? My job really consists of three parts – driving the strategy, establishing process to ensure consistent execution, and hiring and growing the best people. All of these are key skills that I practice every day. Tell us a bit of trivia about Snowflake. Our founders love skiing, and the name Snowflake comes from their passion. Snowflakes also come from the cloud so that seems appropriate, as well. Is there a simple fact you wish more people understood about analyzing business data? For most companies, analyzing huge amounts of business data is a major challenge. The reason for this is because existing technologies impose significant limitations. These limitations are an attribute of the architecture that underlies both traditional data warehouses and Hadoop. Snowflake removes these barriers because we use a different architecture, one that only became possible because of innovations that are associated with the cloud. Because of our architecture, Snowflake will completely transform the way business works with data. What attracted you to working in this field? Data analysis is a business imperative that is poorly served today. I wanted to help build a service that solves this important business challenge. Snowflake does exactly that. What gets you most excited about where data science, analytics and big data are heading? Modern business must be data driven in order to succeed. This is clear to CEOs and other business leaders across all industries. I am excited to be part of the company that is building the technology and service that will transform business by making it 10x easier and 100x faster to analyze huge amounts of business data. What’s one downside of our digital, data-driven world? The definition of personal privacy has changed. Our mobile world reveals massive amounts of information about us to the organizations we interact with. This is a fact of life that my generation finds somewhat disturbing. Interestingly, the millennial generation seems to be far less concerned about this. What impact do you want to leave in your field before retirement? I want Snowflake to transform the way business works with data. Looking back to when you first started your professional journey, where did you think it would lead? I have always been an engineer, and I deeply enjoy technology. I am not surprised that I have stayed close to these roots. Thirty years ago, I couldn’t have predicted how much I’ve enjoyed leading and managing people. Today I find that helping people to grow is one of the most rewarding things I do. If tomorrow someone asked you to start a business that is unrelated to data and tech, what would you create? A scuba dive boat. I love diving. Is there a quote or motto you live by? I’ve tried to stick to these three main principles throughout my career: Focus on what’s right, treat people with respect, build and maintain the relationship for the long run. What was the topic of your first Tweet? My first tweet was a piece I penned for re/code on the future of data warehousing, http://recode.net/2014/09/19/the-new-normal-business-understanding/. What are your top three go-to bookmarks or apps? Techmeme. Wall Street Journal. Slack. If you don't mind, fill us in on something most people don’t know about you. It was my wife that had the insight to seek out working for Microsoft in the mid-1980’s. She first interviewed at Microsoft; the job they were looking for was too technical for her (she was in product marketing). Two weeks later, I was hired. She later joined Microsoft in a marketing role, and then I stayed there for 23 years. Is there a memorable book you’ve read recently? What was your take away? Duty: Memoirs of a Secretary at War by Robert Gates. Being the Secretary of Defense is a dauntingly hard job. I can’t imagine sending troops into battle knowing that some will not return. Describe where you grew up and how your roots still influence you today. I grew up in Michigan and went to school at the University of Michigan. My father was a salesman and I learned how important it is to please your customers and work through the issues they have, regardless of where these issues originate from. Trust your instincts but think things through before taking action. What do enjoy most in your free time? Free time? Snowflake doesn’t leave me with much time left… I try to workout as often as I can and the I spend as much time as possible with my family. What’s something new you’d like to try in the near future? I would love to try kite boarding… that looks pretty cool! It's been a treat getting to know you beyond business. Thanks for your time, Bob.